NMC Ceiling Medallions: Easy to install decorative ceiling accents and ceiling medallions. These ceiling medallions are offered in almost every size to meet your architectural and home design needs. NMC Small Ceiling Medallions (10 in. - 20 in. ): Small ceiling medallions between 10 and 20 inches in diameter. NMC Medium Ceiling Medallions (20 in. - 30 in. ): Medium ceiling medallions between 20 and 30 inches in diameter. NMC Rosettes: Rosettes offer as easy to install and simple quick decorative solution for any architectural project. NMC Crown Moldings: Intricate crown moldings with precision detail to add an elegant decorative architectural touch to any room or outside of a building. NMC Extra Small Crown Mouldings (Under 2 in. ): Extra small crown mouldings under 2 inches in height. NMC Small Crown Mouldings (2 in. - 4 in. ): Small crown mouldings between 2 and 4 inches in height. NMC Medium Crown Mouldings (4 in. - 6 in. ): Medium crown mouldings between 4 and 6 inches in height. NMC Large Crown Mouldings (6 in. - 8 in. ): Large crown mouldings between 6 and 8 inches in height. NMC Chair Rails: Decorative chair rails to add a touch of architectural detail and enhance the wall decor. NMC Panel Molding: Use panel moldings to instantly and easily create frames on walls and ceilings. NMC Panel Molding Corners: Use panel molding corners to add an elegant curved corner to panel moldings. Panel molding corners eliminate the need to miter corners and offer a simple and unique solution for creating frames on walls and ceilings. NMC Baseboards: Simple and ornate decorative baseboards to match crown moldings and chair rails and enhance the entire room. NMC Moulding Accessories: Molding accessories to complement moldings, such as molding blocks, pre-mitered inside corners and pre-mitered outside corners, or Focal Point's Quick Clips molding installation system and Focal Point's Moulding Mates. 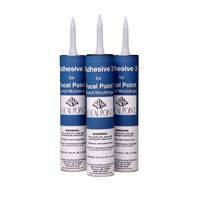 NMC Adhesives & Tools: Adhesives and tools to easily and quickly install all polyurethane products offered. NMC's Allegro collection is elegant and cost-effective. The collection is made of polyurethane and perfectly suited for all interior applications and offers mouldings and ceiling medallions in all sizes and shapes. Due to its low density, Allegro is a real light-weight and very easy to install. NMC's Arstyl collection is a vast variety of mouldings, ceiling medallions, columns and pilasters combining style and hi-tech design. A professional range which meets the strictest quality standards. Arstyl mouldings and ceiling medallions can be given a finishing coat without any surface preparation! Arstyl mouldings can be aligned perfectly thanks to their exclusive attachment system. Arstyl chair-rails enable you to grace your walls and ceilings. With Arstyl micro mouldings, you can unlock your imagination: walls, ceilings, doors and furniture can be transformed to your own taste. Curves and rounded walls can now be decorated using Arstyl Flex, mouldings which are compatible with the corresponding traditional Arstyl mouldings. NMC's Nomastyl collection is a huge assortment of easy-to-install mouldings. Ideal for creating your own mark on your interior, but also for hiding cables, cracks and other imperfections as well as being easy to install and maintain. NMC's Floorstyl collection is a range of shock-resistant baseboards in various styles for all tastes. Save time and money, the baseboards are fabric-primed and are easy to install with no maintenance required. NMC's Wallstyl collection is a range of shock-resistant mouldings and chair-rails in various styles for all tastes. Save time and money, the mouldings and chair-rails are fabric-primed and are easy to install with no maintenance required.